FS227 is a hardwearing industrial boot benefitting from a Goodyear Welt construction. All-weather boot crafted with a water-resistant leather upper with waterproof lining. 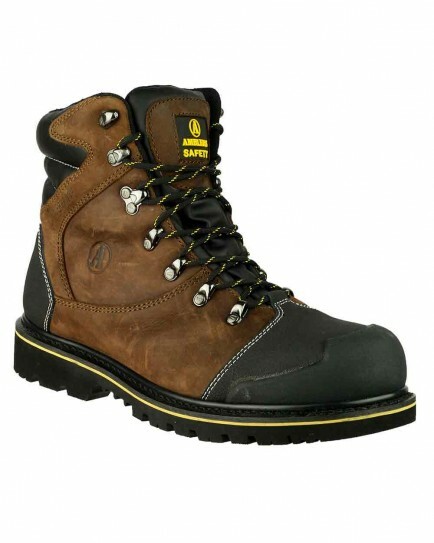 Safety protection is given via a steel toe cap and midsole. Features moulded rubber toe and heel guards. Padded collar and gusseted tongue. Tough D-ring lace holds and upper speed-lacing hooks. Antibacterial footbed. Antistatic and energy absorbing Nitrile rubber sole unit. Embossed Amblers ‘A’ logo.